This season has started dismally in Milan. 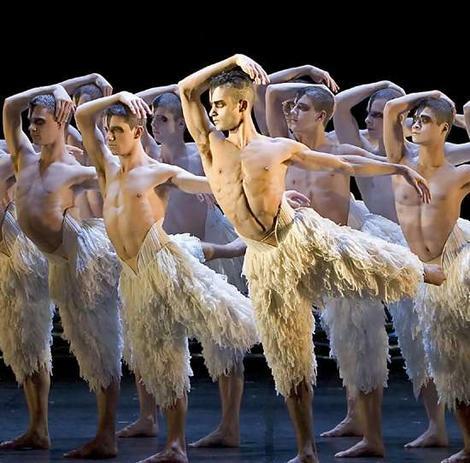 Matthew Bourne’s Swan Lake at the hug Arcimboldi theatre was half empty on the second night, and this afternoon’s matinée only a third full. Stage Entertainment’s Mamm Mia! at their Teatro Nazionale is cautiously booking until the end of December, three months earlier than the run of their Beauty and the Beast last season, and with the house only half sold around Christmas. Even “niche” entertainment such as Beckett’s Happy Days in the celebrated Robert Wilson production with Adriana Asti at the Piccolo Teatro wasn’t full for the first of only a handful of dates. This is all worrying news for productions that are moving to Milan soon such as Flashdance (again produced by Stage Entertainment), and I Promessi Sposi (again at Teatro Arcimboldi). Most theatre newsletters are offering reduced price tickets, runs are being truncated, and even La Scala was putting out full-page ads for its season tickets, when just a few years ago they were difficult to come by.